It is not clear exactly how the Watchtower Society may have gone into “spiritual captivity” in 1918. Does the mere state of incarceration constitute spiritual enslavement to the captor? If so, then that means that the apostle Paul himself was in “spiritual captivity” in the 1st century, and yet he evidently wrote several of his epistles while a prisoner in Rome. That would mean, also, the crowning book of prophecy—Revelation—was written by John while he languished in “spiritual captivity” on the Roman penal island of Patmos. In Revelation Jesus warned his followers in advance that the Devil would ‘keep on throwing some of you in prison.’ Clearly, then, physical captivity does not necessarily mean that a Christian has lost God’s favor or is being chastised. On the contrary, Christian witnesses of Jehovah deem it a privilege to suffer for Christ in that manner. Besides, the arrest and incarceration of eight officers of the Society did not even stop the Watchtower from publishing its message back then. In fact, the Watchtower has never missed a single issue—even during the time when its leading men were in prison. So, how was the Watchtower put under “restraint”? In reality, there were no restraints put on the Bible Students that prevented them from preaching publicly. Any slowdown in their activity was apparently self-imposed. Perhaps some Bible Students at the time became frightened or even demoralized; but how is that comparable to the Jews’ enslavement to Babylon? Not only that, but since 1919 – after the time when Jehovah’s Witnesses were supposedly permanently set free from all restraint – certain segments of Christendom have most certainly used their influence in the political sphere in certain parts of the world to impose very real restraints upon Jehovah’s Witnesses. Moscow is the most recent and noteworthy example. According to the Watchtower’s News page documenting the banning of Jehovah’s Witnesses in Moscow, it would appear that the Russian Orthodox Church has been quite successful in imposing restraints upon the activities of Jehovah’s Witnesses. Other denominations within orthodoxy have as well. In reality the Watchtower was not put under restraint in 1918—as is commonly supposed. And contrary to the notion that Christendom does not have the power to restrain Jehovah’s Witnesses, reality insists otherwise. Besides, Babylon the Great comprises more than merely Christendom. Islam is the fastest growing religion in the world and in most Islamic nations the work of Jehovah’s Witnesses is suppressed or non-existent altogether. The fall of Babylon the Great is linked to the arrival of the hour of judgment by God. According to Revelation there are two aspects of God’s judgment. One facet is that people are called upon to worship and give glory to God. Conversely, in order to acceptably worship God a person must avoid worshipping the wild beast or its image. The judgment of each individual is based upon whether they worship Jehovah or the beast. The crucial question is whether the judgment has already begun or whether it is still future? Not surprisingly the Watchtower insists that the hour of judgment has already begun. In fact, the Society teaches the hour of judgment commenced on two different occasions, separated by 23 years! Incredibly, because the Watchtower has two different interpretations for the beast from the abyss, they also have assigned two different dates for the beginning of the judgment—1922 and 1945! But regardless of that embarrassing contradiction, if either date is correct the real question is why God’s judgment is so capricious! Does the impartial Judge of all the earth callously blot a person’s name out of the book of life simply because they were once casual supporters of the political system? Moreover, is it reasonable that God’s everlasting condemnation should come upon those who might have “wondered admiringly” over the political system in the aftermath of WWI; or that some may have regarded the United Nations with passing admiration since 1945? If the Watchtower’s interpretations were correct, it would mean that everyone who even supported the now-defunct League or the United Nations since 1945 has already been doomed to everlasting death! In reality, the Watchtower’s teaching is blasphemous because it makes Jehovah’s judgments arbitrary and petty. Given that the symbolic mark of the beast is permanent and results in God’s irreversible condemnation, it is not possible for anyone with the mark of the beast to ever repent and gain Jehovah’s approval. Clearly, then, no one has the mark of the beast yet. Otherwise, it would be impossible for anyone who has ever supported the political system in the past to repent and receive salvation. But the fact is that large numbers of Jehovah’s Witnesses were formerly quite active in supporting the present political system, even serving in the military, thus proving that the Watchtower’s interpretation is in error. Jehovah is the God of Justice. His judgments are not random. His judicial decision decrees the sentence of permanent death for everyone that worships the wild beast or its image after the point at which the beast revives and its image miraculously comes to life—because doing so at that time will demonstrate an unequivocal rejection of Christ as ruler. The notion that the Anglo-American head of the beast suffered the prophetic death-stroke during the First World War is simply not based in reality. As it stands presently, we cannot point to any historical occurrence in modern history that would mark such a profound and definitive turning point, such as is described in prophecy. It is therefore apparent that the circumstances surrounding the death and revival of the head of Satan’s political wild beast is a totally unique circumstance that marks the future commencement of Jehovah’s great Judgment Day. The glaring contradiction for two dates for the beginning of the judgment notwithstanding, the Watchtower’s assertion that either one of those dates was somehow the beginning of the awesome judgment of Jehovah is simply phantasmagorical. The ramifications of the Watchtower’s interpretive error should not be underestimated. 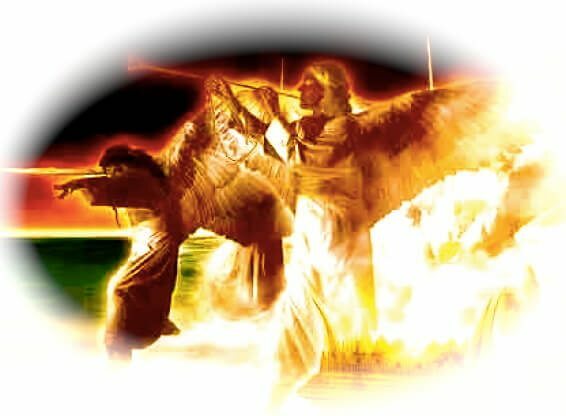 If the beast of Revelation has not been dealt the foretold sword-stroke yet, as it most assuredly has not, then obviously, neither has the beast miraculously revived and ascended out of the abyss. The significance of that is that the beast from the abyss wars against God’s servants and conquers them. The Watchtower insists that the prophecy was fulfilled when the beast conquered the holy ones in 1918—citing the same circumstances surrounding the arrest of Brother Rutherford and company, which supposedly also amounted to spiritual captivity to Babylon the Great. However, the Society’s interpretations simply do not pass the test as being authentic and reliable teachings from God. Contrary to the expectations of Jehovah’s Witnesses, what confronts us today is the engineered collapse of the Anglo-American dual world power and the imposition of a non-democratic, totalitarian world government. That is what the prophecies point to. And it is in that context that the judgment upon the house of God commences; immediately followed by the hour of judgment for the world. One of the most glaring deficiencies of the Watchtower’s 1914 doctrine is the obvious fact that it has now been near 100-years since 1914, and virtually everyone who originally witnessed the events associated with the Great War has long since passed away. 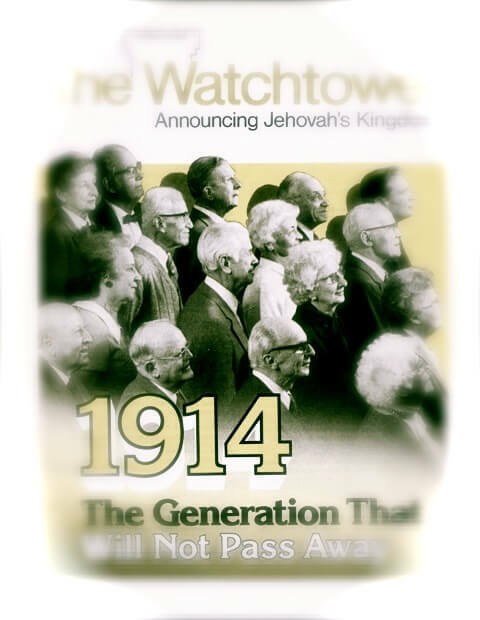 Because Jesus used the term “this generation” in context with the wicked faithlessness of the majority of the Jews, the November 1st, 1995, Watchtower has endeavored to redefine a generation in order to retain the 1914 starting point. Jehovah’s Witnesses now must believe that the term “this generation” has no connection to the duration of a group of people living at a specific time. However, it seems the adjustment in understanding raises more questions than it answers. For example, why did Jehovah’s Witnesses believe for so long that the generation that would not pass away was a reliable means of determining where we stood in time? Also, why doesn’t the 20th Century fulfillment follow the same pattern as the 1st century? Consider when Jesus pronounced sentence upon the faithless Jewish generation, saying to them at Matthew 23:36: “Truly I say to you, all these things will come upon this generation.” In the 1st century, the generation that heard Jesus’ pronouncement of doom did not pass away until the destruction of Jerusalem. The word “you” appears four times in the verses quoted. Originally, it applied to the apostles, who were Jesus’ direct audience at the time. And as far as the destruction of the temple and the Jewish system, some of them actually lived to “see all these things” occur. But, in the grander fulfillment have you personally witnessed the events that took place in 1914—the so-called “beginning of the pangs of distress”? 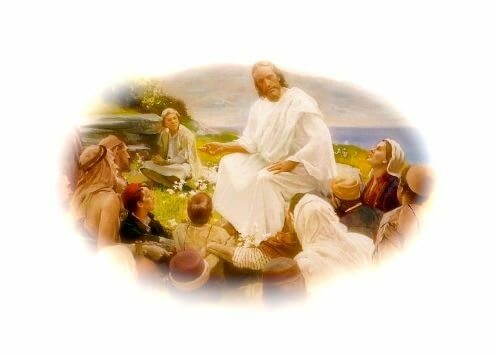 Has anyone alive today witnessed “all these things” Jesus foretold? For that matter, who of us today can say they have personally witnessed any of the things foretold? If not, are we to suppose that Jesus merely intended for his disciples to “see” the sign of his presence by reading history books or by word of mouth accounts handed down from long-since deceased eyewitnesses? Or do we merely see the sign of Christ’s presence through the pages of the Watchtower? Jehovah’s Witnesses recognize there are many aspects of the sign of Jesus’ presence that are not in evidence. That means it is now impossible for any individual to personally “see all these things,” since those who personally witnessed the events of 1914 are no longer alive to see the finale. But honestly, how many people today have “experienced” the sign of Christ’s presence firsthand? Personally, I have been alive for over a half century and I have never “been an eyewitness” to wars, or food shortages, or pestilences or earthquakes of any substantial magnitude. Most of the people I know in the United States have never experienced such things either. True, my generation lived through the Vietnam War and I know a few men who went to faraway Vietnam to fight the Communists, but that is as close as I have personally come to being “an eyewitness” to any of the things Jesus foretold. 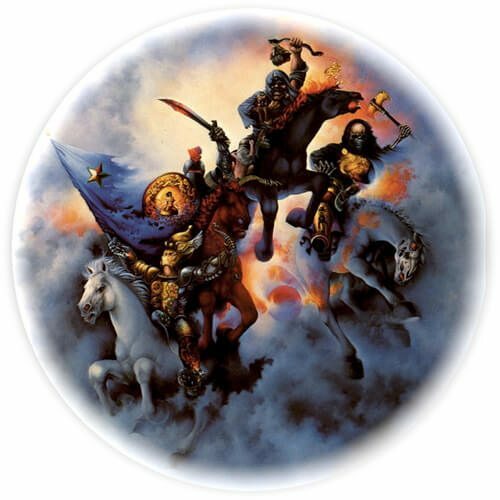 But, if the four horsemen of the Apocalypse commenced their deadly gallop in 1914, bringing with them the specter of war, famine and pestilence, is it reasonable that the world’s population should simultaneously be steadily increasing? Shouldn’t we rather expect the population to be dramatically reduced when the prophetic horsemen begin reaping their deadly harvest? For instance, during the time when the Black Death stalked the continent of Europe, the populations of some regions were reduced by as much as 50%! Entire towns were completely wiped out by the deadly scourge. In fact, many people back then believed the Black Death was the end of the world. But, do the degenerate diseases of Western Civilization, such as cancer and heart disease and AIDS, even pose the same kind of menace as the bubonic plague of centuries past? Obviously not. Also, does it make any sense that Jehovah’s Witnesses are preaching that the world is being stalked by disease epidemics of apocalyptic proportions when, even according to the Watchtower, one of the major threats facing civilization today is exploding cities and overpopulation? Furthermore, is it reasonable that the food shortages today are of such severity so as to fulfill prophecy? Even the AWAKE! acknowledges that obesity is becoming a global epidemic. What does it mean that “the fourth part of the earth” is given over to the authority of Death? If words mean anything, particularly God’s words, the fourth part must evidently signify that approximately 25%, or about one-quarter of the world, is destined to fall victim to the authority of the apocalyptic horsemen. Do the number of deaths attributed to the wars, famines, and pestilences of the 20th century approximate one-quarter of the earth’s population then? Let’s see. In 1900, there were about 1.5 billion people on earth. (Presumably more in 1914) There were about 8-9 million men killed during WWI and an additional 20-40 million unfortunate souls perished from the Spanish Flu pandemic in 1918. Apparently there were no major famines during that same period. So, let’s take the high-end number of deaths from the Spanish Flu and round up the deaths from WWI to 10 million for a combined total of 50 million. What percentage of 1.5 billion is 50 million? About 3%. Obviously, that is nowhere near one-fourth of the world’s population in 1914-19. But what about taking into consideration all of the deaths from war, famine and pestilence during the entire 20th century, as the Watchtower does? For example, the Watchtower often states that the numerous wars of the past century claimed over 100 million lives. But, the problem is, as previously stated, that the earth’s population is continually expanding too even in spite of the horrendous death toll of war, famine and pestilence. So, if we take the 100 million figure, and even add an additional 150 million to it for all sorts of untimely deaths, that hypothetical quarter of a billion dead still only represents roughly 4% of the world’s present population, which now stands at over 6,000,000,000. 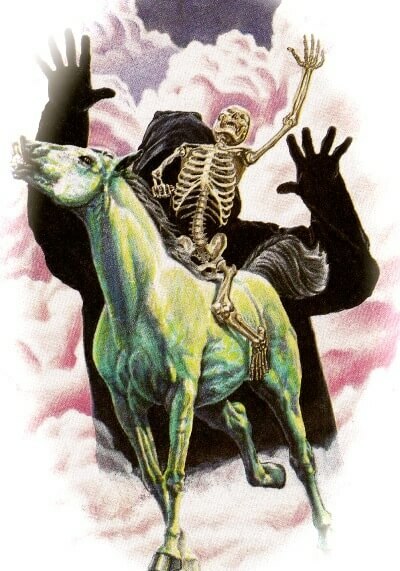 Is God’s word exaggerating when it states that the four horsemen are given authority “over the fourth part of the earth”? Or is it more reasonable to conclude that the sign of Christ’s presence has not appeared yet? Just as the Watchtower cannot authoritatively assure us that there will not be another world war, neither can they validly discount the possibility that food shortages and pandemics may occur in the future on a scale never before experienced. In the event of a major war or perhaps a terror attack using weapons of mass destruction, the already-teetering financial system and world economy would no doubt crash. Food production and distribution would likely be disrupted—creating food shortages. Vaccines and other health services may not be available—setting the stage for pandemics to sweep the globe. And it is not out of the question that future pestilences may even be the result of manmade biological weapons. Such a grim scenario would surely bring on a new dark age. 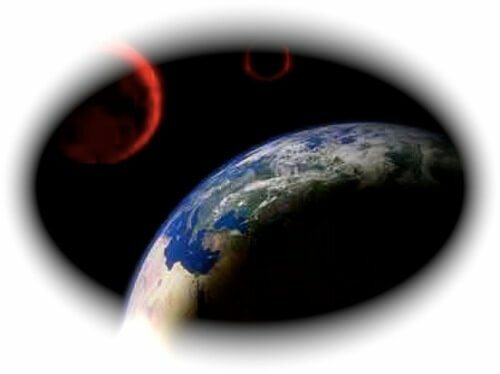 Jesus’ own highly cryptic prophecy concerning the sign of his presence being manifest in the sun turning black and the silvery moon turning to blood, and the stars falling from heaven, seems to presage a brief but intense dark age of societal collapse – a time of great fear and foreboding. If the First World War was the “beginning of pangs of distress” that Jesus had foretold then we should expect to see the other facets of the sign of Christ’s presence in evidence also. Have we? Let us consider each aspect separately. There is no question but that in the past 100 years Jehovah’s Witnesses have been one of the most hated and maligned people in the world. The persecution of Jehovah’s Witnesses by the Nazis is well known. 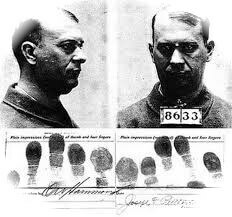 During the 1930’s and 40’s Jehovah’s Witnesses in the United States were also subjected to waves of intense mob violence and harassment. During the 1970’s, the government of Malawi sanctioned the vicious persecution of Jehovah’s Witnesses, resulting in thousands being dispossessed, killed and brutalized. Jehovah’s Witnesses are presently being persecuted in numerous former Soviet countries. But can it positively be determined that these persecutions – both past and present – actually make up the sign of the conclusion of the system of things? Or is it possible that all of the persecutions up to this point are merely a prelude to what is to come? Have Jehovah’s Witnesses been placed on the stand before the governors and rulers of the world “for a witness to them”? True, some court cases involving the unjust persecution and banning of Jehovah’s Witnesses have attained national and even international prominence. The recent banning of Jehovah’s Witnesses in Moscow is an example. But do such cases really fulfill the requirements of Christ’s prophetic sign? Remember, the Watchtower has compared the sign of Christ’s presence to a unique fingerprint. The question is: Are past events of the 20th century an exact match of what Jesus foretold would occur? Consider one aspect more closely: When Jesus instructed his followers not to be anxious about their legal plight and to “settle it in your hearts not to rehearse beforehand how to make your defense,”(Luke 21:14-16) doesn’t that rule out lawyers even being involved? After all, isn’t being represented by a lawyer for the purpose of making a defense? Furthermore, do modern legal cases involving the Watchtower Society really allow Jehovah’s Witnesses to give a witness concerning the kingdom of God before government officials? Or is it more the case of legal wrangling between government and Watchtower lawyers? In contrast with Christ’s counsel, what attorney would dare go to court without first carefully rehearsing beforehand how to make a defense for their client? Are we to assume the holy spirit speaks to the governmental rulers through legal petitions filed by Watchtower attorneys? The pattern found in the Holy Scriptures indicates otherwise. Jesus Christ stood before the Jewish High priest, King Herod and the Roman governor Pilate without an attorney present. His defense was very simple. Peter, James and John also gave a witness before the Jewish high court without having some attorney speak for them in the legalese of that day. Paul even appeared before Caesar in Rome in order to give a witness concerning Christ’s kingdom. But have rank-and-file Jehovah’s Witnesses ever appeared before high-ranking officials without being represented by lawyers and preparing a legal defense beforehand? While Jehovah’s Witnesses may assume that the underlying kingdom issue is paramount in such instances where the Watchtower’s lawyers seek legal redress for unjust bans imposed and persecutions, we should not diminish the bold witness given by Christ and the apostles by making such comparisons. When Daniel was summoned to Belshazzar’s ill-fated feast to decipher the supernatural handwriting on the wall for the doomed monarch, he established a pattern and portent of things to come during the time of the end. No doubt that is when the chosen ones “will shine as brightly as the sun in the kingdom of their Father” as they issue Jehovah’s final proclamation to the rulers of this doomed system. The familial betrayal of Christians is a significant feature of the sign of the conclusion of the system. If the time of the end commenced in 1914, shouldn’t this characteristic of prophecy be as prominent as the wars, famines and pestilences? 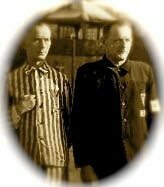 Perhaps there may have been occasions during the Holocaust when one of Jehovah’s Witnesses was betrayed into death by a family member, but if there ever were such instances they were very rare. It might be hard for Jehovah’s Witnesses to visualize the organization ever imploding upon itself, while brothers and sisters turn upon each other in acts of treachery and betrayal; but it is equally difficult for most people to imagine the present system violently collapsing. Yet, we are assured by the prophets that Jehovah is going to rock this world to its very foundation. Let no one doubt that the inevitable transformation of the United States government into a tyrannical despotic regime will have dire consequences for all nations on earth—and especially for Jehovah’s Witnesses. As for the spiritual condition of the organization, there is already a detectable spirit of disillusionment and waning zeal reflected among a growing number of Jehovah’s Witnesses. Meanwhile, growing numbers of outsiders and ex-Witnesses consider the Watchtower Society to be a dangerous brainwashed cult. The persecution of Jehovah’s Witnesses in times past testifies to how easily public sentiment can be inflamed, particularly during the hysteria of war. While the vast majority of Jehovah’s Witnesses are content to unquestioningly follow the Watchtower at the moment, what happens when the Society’s prophetic expectations are undeniably discredited by unanticipated developments in the world? Then what? Actually, such a scenario has already been played out if you consider what happened to the International Bible Students back during the WWI. There were many back then, as now, who were imagining they were going to be bystanders as the world blew up. Instead, C.T. Russell, their beloved leader unexpectedly died. Immediately a group of prominent men within Bethel broke away and led off large numbers of the Bible Students. And of course, the U.S. government prosecuted the leadership of the Society. Tragically, the Watchtower really has no insight into these vital matters. They would have you believe that the “many” who are destined to be stumbled and who will “betray one another,” are not even Christians. As many times as the Watchtower has cited the 24th chapter of Matthew they have rarely even offered a single word of commentary on the verses quoted above. It is as if they suppose that it is an insignificant feature of the sign of Christ’s presence. Ironically, the 1914 doctrine now stands as an enormous stumbling block to all of Jehovah’s Witnesses when once the actual presence of Christ commences. At that point the 1914 doctrine will become completely discredited as a false prophecy and those who continue to cling to it will be misled from accepting Christ during that critical juncture. Another facet of the sign of Christ’s presence is an “increasing of lawlessness.” But what exactly was Jesus foretelling when he said: “Because of the increasing of lawlessness the love of the greater number will cool off”? The Watchtower has always maintained that the “increasing of lawlessness” has to do with a rising crime rate. However, there are a few problems with that interpretation. Crime statistics indicate that for the last decade crime has been decreasing—not increasing. There is no question that the 1960’s through the early 1990’s saw an increasing of crime of all sorts, but the trend has undeniably been reversed—at least in the United States, which is one of the most violent and lawless nations in the world. In each of the texts above “lawlessness” was used in reference to spiritual corruption among those who claimed to serve God. It is apparent, then, Jesus was foretelling an increasing of hypocrisy and apostasy in his congregation as an aspect of the sign of his presence—not an increasing of criminal activity in society in general. What about the worldwide preaching work of Jehovah’s Witnesses? Isn’t this proof of the parousia? In the Bible book of Mark, Jesus foretold:“In all the nations the good news has to be preached first.” We might ask the question: First, before what? Presently, Jesus’ words are understood to mean first—before the end of the system. That is made even more apparent in the 21st chapter of Luke, where Jesus said: “But before all these things people will lay their hands upon you and persecute you, delivering you up to the synagogues and prisons.” “Before all these things” has reference to the wars, food shortages and fearful sights from heaven Jesus foretold in the previous verse. Could it be that the world-wide kingdom preaching work that has already been accomplished by Jehovah’s Witnesses and the persecutions suffered up to this point are preliminary to the actual appearance of the sign of Christ’s presence, but that during Christ’s presence a great final witness will be delivered—and then the end will come? There are numerous reasons to believe that is true. After the anointing spirit was poured out, the early Christians became an indomitable spiritual force that undertook to evangelize the entire Mediterranean world.